Traditional matching should not be taken to be confined to investigation into various Kutas only. In Kerala learned astrologers consider each and every house of the horoscopes of the couple. Even a sensible parent would like to consider five factors : (a) the longevity of the bride and the bridegroom, (b) their marital life i.e., consideration of the 7th and 8th houses, (c) their prosperity or otherwise i.e., consideration of the 2nd, 11th and 4th houses, (d) about their children – consideration of 5th as well as 9th houses, and (e) agreeability in regard to Gunas or Kutas. They also consider Dasa sandhi. A word abut Dasa-sandhi. 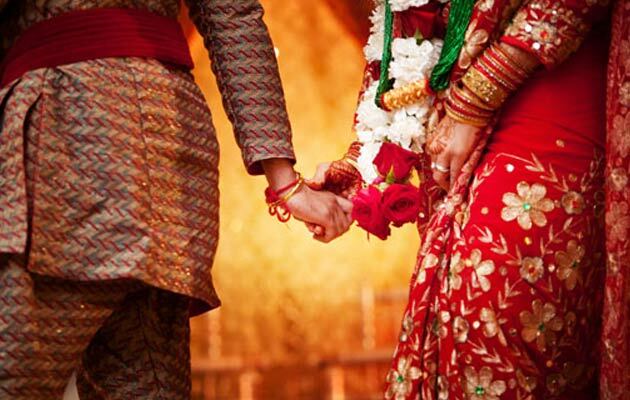 If both husband and wife have certain very adverse, Dasas ending or commencing within say a period of about six months or so and it includes Maraka Dasas, in Kerala astrologers would not approve of such marriage for both are likely to suffer some calamity. Though Dasa-sandhi may be like a medical bill as suggested by some astrologers, it should not be ignored. Besides, graham samya, Kuja Dosha is also to be considered in totality and not in isolation, as some astrologers do and create more problems in the marriage instead of solving them. Some astrologers are concerned about Trimamsa and pass unnecessary judgement on the character of the bridge. But they would hesitate to apply the same standard to the bridegroom due to fear of losing their clientele. In the case of the bride they keep silent. Trimsamsa appears to us a very useful tool to understand the behavior pattern of both the male and female and it also helps in under standing Arishtas, and their timing. To find – rinanbandhana – mutual debts created by past karma has not been an easy task. But we have succeeded to a great extent. Some formulae are given below. If all these formulae apply to horoscopes of the proposed couple then one can be sure that marriage is likely to take place between them. Our studies have shown that the Lagna, the Moon-sign, the Sun sign or the sign of the Lagna lord of one is found to be the sign of other. This principle applies straightaway in 70% cases in Rasi chart itself and to 80% cases in Navamsa charts. Jupiter being Sukhakaraka and Santanakar aka is supposed to have an intimate connection in the charts of the couple. Our studies indicate that amongst married couples, Jupiter has been found in 4 out of 20 couples in one and the same sign i.e. 20%, in 6 cases aspecting each other, i.e., 30% in one case Jupiter of one is in Gemini while of the other in Cancer but retrograde. This may thus be put in the first category. Similarly in another case Jupiter of both is retrograde in Aries and Scorpio and it could be a doubtful case but may be put in the second category thus raising the percentage of both by 5% and raising the total of these two categories to 60%. In 3 or 15% cases relationship is of the 3rd and 11th, in 2 or 10% cases it is the 4th and 10th. In 2 or 10% cases, Jupiter of one was found retrograde, and if we take the aspect from Jupiter’s preceding sign, then Jupiter of one was found retrograde, and if we take the aspect from Jupiter’s preceding sign, then Jupiter of one is aspecting Jupiter of the other, in 9 or 45% cases. This takes the first two categories to 70%. As matter of fact the first the first type of relationship coven 3 common points or where Jupiter of one aspects the other’s Jupiter and the Rasis 3rd and 11th relation cover only two common points and then two relationships cover 85% cases. The 4th and the 10th relationship found in 10% cases is at least not detrimental. It was found is the 2nd and 12th only in 1 or 5% cases. In 8 cases out of 20 couples i.e., 40%, this connection was clear from Lagna chart without considering Chandra Kundali. In 4 such cases the 5th lord of the two were found in the same Rasi, in 2 cases, the 5tyh lords aspecting each other, and in 2 cases one is either in the 5th or aspecting both the 5th and the 5th lord or the 5th or the 5th lord only. In 3 cases this point is proved from Chandra Kundali raising the percentage to 55%. In the other 3 cases, the same point is established by taking Lagna and Chandra charts together. This would cover 70% cases. Venus of both are in the 3rd and the 11th houses. The lord of the 7th of the groom is aspecting Lagna of the bride from the 7th and 7th lord of the bride Mars is aspecting the 7th houses of the groom. There are some other similarities including life patterns etc. which made me say that marriage could not be avoided whatever may be the reason advanced. One has to keep in mind that in some cases various Kutas are just contradictory to each other. Then one cannot afford to stick to contradictory Kutas. There has never been a perfectly ideal matching. That is why ‘Love at first sight’ prevails over Katas to the extent that it has been included in Mananukulya Kuta and thus our seers approved it. Human effort has to be made but it can succeed only within the limits of rinanubandhana. The learned readers would do well to consider it while matching horoscopes for marriage. Follow traditional methods of matching. But do not ignore additional methods of matching rinanubandhana to save time, money and energy of harassed Indian parents of the bride. This is the duty and responsibility of a good astrologer, we believe.